I'am a long time reader of your site and leader of a company named Spatiumaudio founded 2011 in Germany. My main business are products to improve the sound of music instruments like violins and pianos and yes also of the human voice based on a revolutionary new technology with many users in the music business. 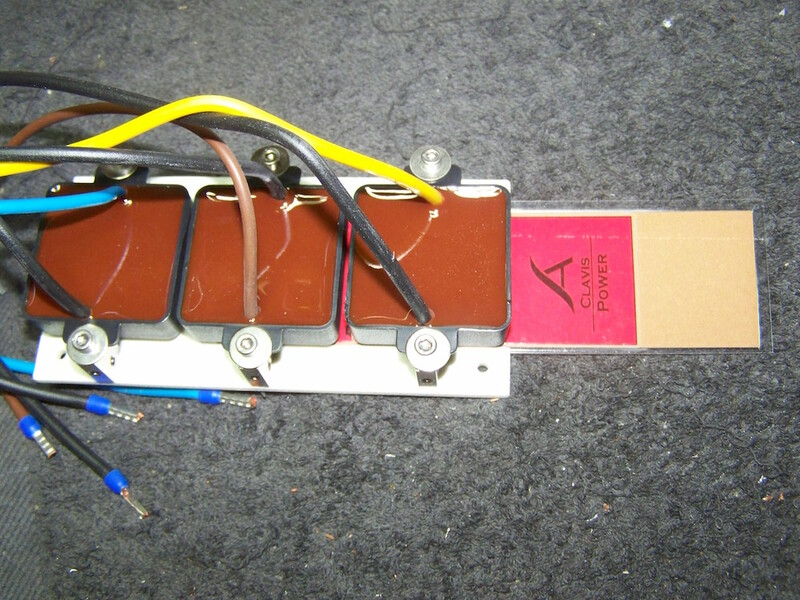 Based on this technology I developed products for DIY Audio mainly for power conditioning. 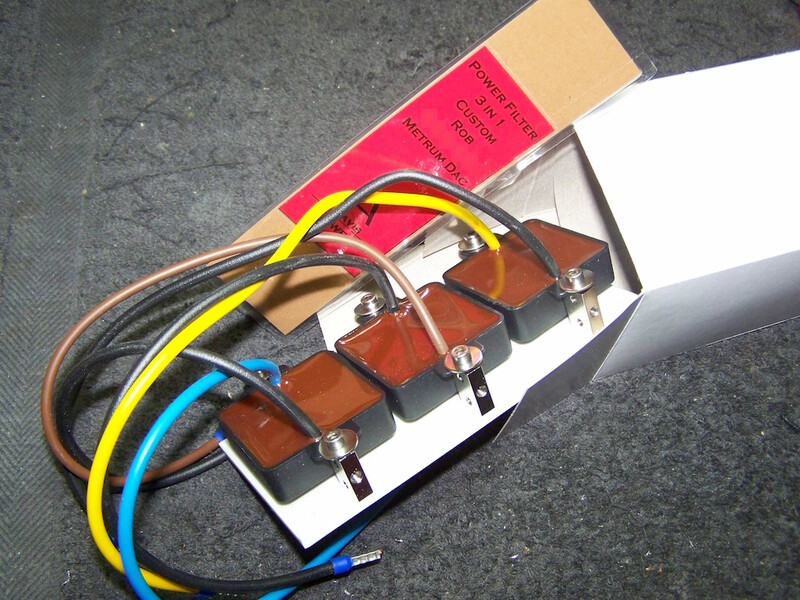 The product I developed are a set of 3 modules (one for phase, neutral and ground). The technology potted in the module is a highly polished flat conductor with a matrix of metals and minerals around. 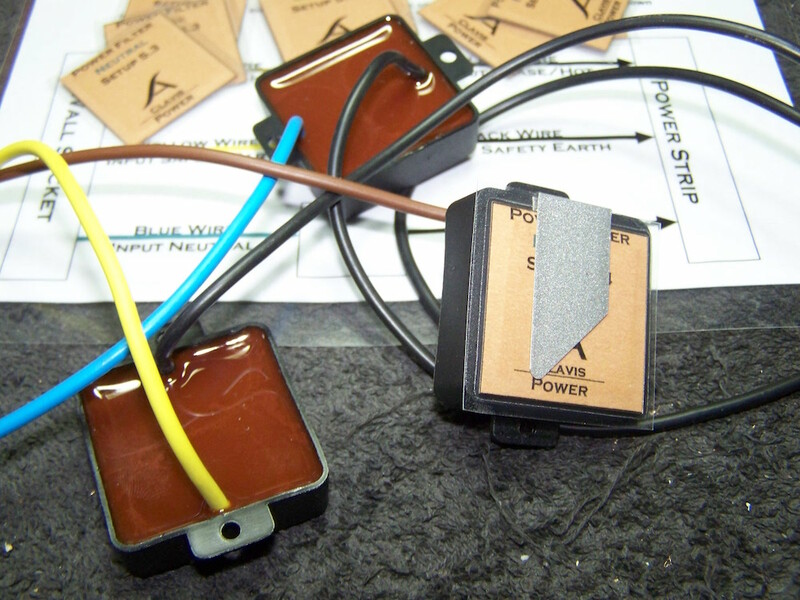 The modules are directional, there is an input and output wire. We did a lot of research and tests against other power condition technologies like Bybee quantum purifier, power generators like PS Audio and conventional power filters. The main advantages of the technology are increased dynamics, power and speed of the musical presentation. The Spatiumaudio Power Modules are in my opinion the best and most cost effective solution for power conditioning on the market. I think of you to test this device.. The only "netfiltering" that I use is a power conditioning device with the intention to keep the mains voltage at the same level during the day. Reason for this is that in the evening the voltage is higher than during daytime which results in a slightly different sound. With this device I do not experience that difference anymore. So, I was more than interested to try these and got into correspondence with Anton. A few weeks later the netfilters arrived. 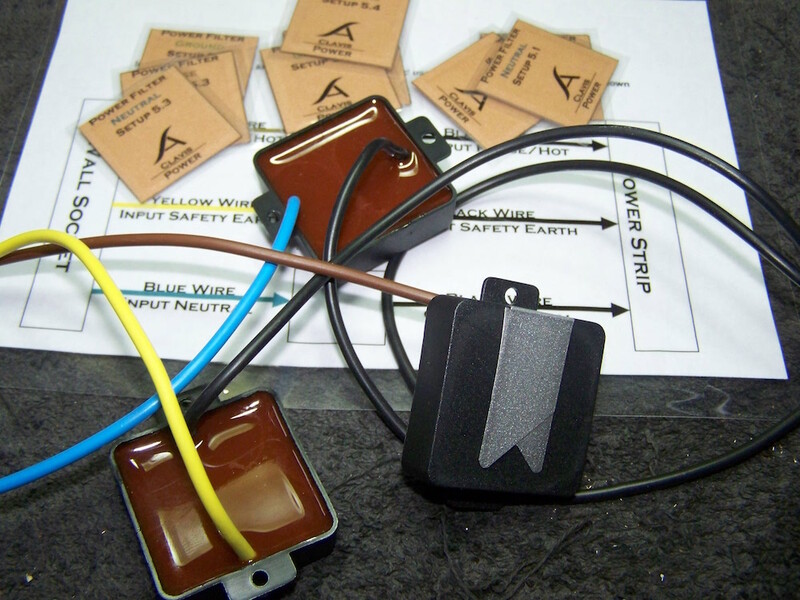 The package contained the three modules as described, one for each conductor as well as some plasticified cards. These cards were referred to as for tuning the modules. Something like the modules being the hardware and the cards the software, or tuning chips as Anton called these. A tuning chip slides into the clip on the module and influences the sound. Simple is that. 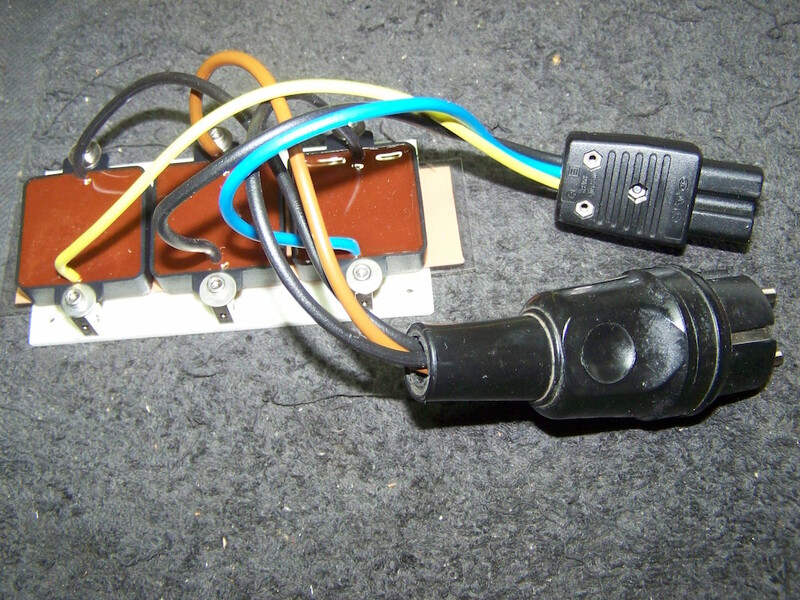 To be able to use these any place in the powersupply I mounted the modules together and added a female schuko plug and a socket inlet. 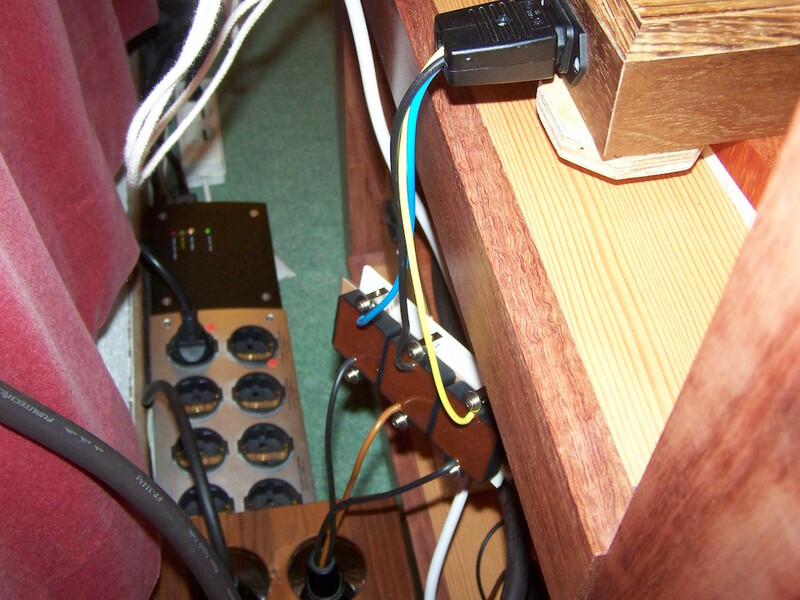 This way I was able to put the modules 'in-line' with a power cord without the need in modifying equipment. Anton suggested to test at different locations, from power distribitor to a single piece of equipment, like preamplifier or DAC. The effect on the sound quality is remarkable, better, unbelievable. As matter as fact, unbelievable is about the right term. How is it possible that these modules have such a positive effect when put in-line with power cords? And even more unbelievable is that the effect can be influenced by some plasticified cards? Time to ask Anton.. The approach I do with the filters are not the same like other filters. Other filter manufacturer looking only for hf rf and so on. But they do not understand the essence of electrons. Quantum physic scientists say in the electrons are clouds of photons. And the photons have a kind of a memory effect. This is the reason why silver sound different to copper. Its not the resistance what makes the difference, its the memory of the electrons. Okay, going quantum again, which is still a mystery to me.. About the tuning chips no further explanation. So I stopped asking. Why not cut one open and see what is inside? Well, afraid to damage the card and respecting some professional secrecy, I did not and am not planning to do as well. So what is 'better', you might ask.. Well, we have been testing these modules in 4 different systems, at different locations. Anton programmed multiple cards specific to the equipment of the different systems. We compared the effects of the standard cards to the effect of the specific programmed cards. One friend was not present during these tests but did the test on his own. We all had the same findings though, regardless equipment or location. When the modules are put in line with the power distributor, immediately an effect is noticed which can be best described as ease, ease during playtime. Sounds are better distinguishable from each other and have more weight or body. Low-end response is better which always results in a better soundstage. And I need to emphasize that this is not a marginal effect! Removing the modules immediately results in missing the positive effects of the modules. Anton says the some of the effect will remain for a while, but I miss them immediately. Experimenting where to use the modules may result in better effect than just put them in line with the distributor. As example, using one module on my RIAA-amplifier gave me a better result than putting it in-line with the power distributor (playing vinyl, ofcourse). All cards have a different influence on the sound. From being bright to dark, to put it a little exaggerated. We all favoured the 5.4 marked cards and the custom cards in particular. Actually preference for the cards boils down to personal taste whereas the modules were experienced the same way. Multiple modules in one system? 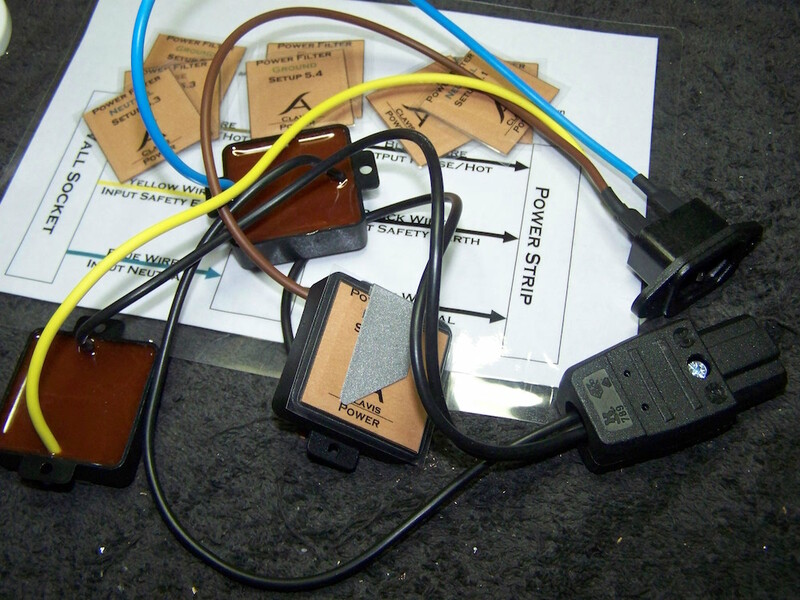 Most obvious place to put one set into practice is in-line with the power distributor so all components benefit. But what if amplifier and/or digital or analogue all get modules in-line with their own power cord? Is this overdoing, excess? This is not the case, certainly not. Each time an extra set of modules is brought in, the same effect is noticeable. Mind you that it is not like a simple sum, so two sets of modules do not have twice the improvement as result. I went up to three sets of modules in my system and every set added to the overall soundquality in about the same way as one set does. Three sets about represent twice the effect of one set.. Try these! You will be amazed by the effect, positive for sure. Experiment where to use and if you can afford more sets, do so. That simple is my recommendation. Out of all so called enhancement products, this is by far the best I have tried so far! ..and no, I do not have shares in Spatium Audio.. Mind you that using these modules will not magically change a bad sounding set into a good sounding set. The basis has to be good for optimal effect. Also using these modules in-line with the television power cable is said to enhance the colours.. (did not try that). The modules can be bought as a drop-in device with enclosure and confection, and as a diy module. The former pictures show the three modules apart but these are now mounted on one board with one long plasticified card which can be put between modules and board. The wires are about 25 cm long, so if the needed mains cable length is no longer than about 50cm, a male and a female plug can be mountend and you are good to go (if you do not care about aesthetics). 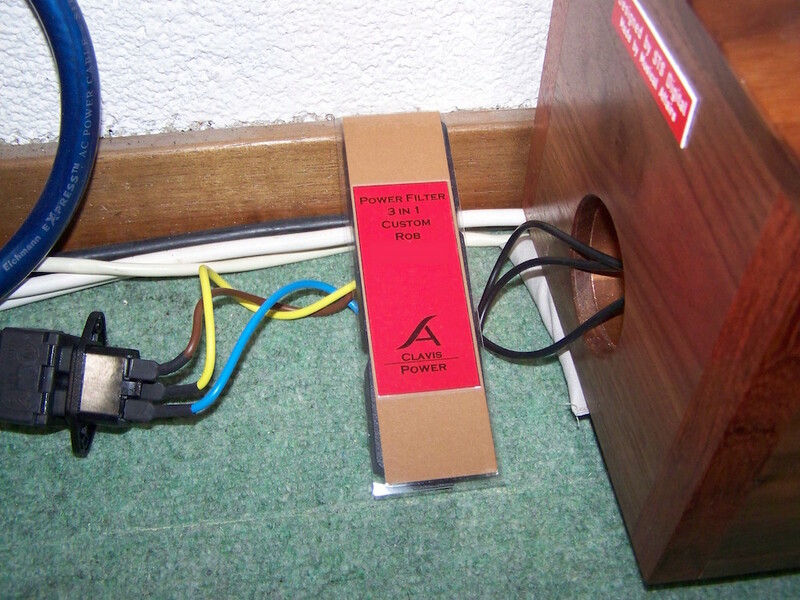 You can also easily incorparate these modules in any amplifier, that is, if there is some spare room. Price is about €500 a set including a custom card. Yes, this is serious money but in my opinion worth it! Other mains filtering products will set you back even more.